ABC’s latest entry into the rapidly-growing superhero game — Marvel’s Inhumans — has certainly had a rocky history. It started out as a rather surprising inclusion in the Marvel Cinematic Universe’s film slate, originally scheduled for late 2018 and then shifted to summer of 2019. As additional films were slotted into the film schedule, Inhumans was said to be further shifted to 2020 or 2021, but was eventually dropped altogether. It was revived as a television series, an idea that was met with some trepidation amongst fans. How could the weird, colorful, strange world of the Inhumans be done on a television budget? But let’s back up a bit. Who are the Inhumans, you might ask? Very good question, and if you’ve been watching ABC’s Agents of SHIELD, you already know most of the answer, as Inhumans were introduced in that show’s second season. One of the SHIELD operatives, Daisy Johnson, is an Inhuman, as are a number of the threats the team faces. Black Bolt – the immensely powerful King, who can fly, has the ability to channel electrons and anti-electrons into a force field or a powerful blast, and has a voice that is so devastating that he never speaks, not even a whisper, because any sound he utters will kill or destroy anyone or anything in his path. The softest utterance can level a city. Medusa – Black Bolt’s queen. She possesses long, flowing auburn locks that, like the snakes on the head of the mythological being, move like extra limbs on her body. Her hair has a tensile strength greater than that of iron wire, and she uses it to fight, to protect herself, to lift heavy objects, etc. She is also Black Bolt’s interpreter and speaks for him to the Inhuman citizens. Karnak – A martial arts expert, Karnak has an extra-sensory perception that allows him to sense the flaw in anything: a structure, a person, a plan. By striking at that point of weakness, he can defeat most anything. Gorgon – Physically powerful, Gorgon’s terrigenesis transformation gave him bull-like legs and hooves with which he can create shockwaves equal to an earthquake. In the comics, this was demonstrated to be either an area effect and a directed attack. Triton – Triton’s transfiguration was more drastic than any of his cousins. He gained scaly skin, gills, and a dorsal fin. He breathes water and requires a respiratory apparatus when walking on land. He needs almost constant contact with water, but in the ocean is quite powerful and can swim at great speeds. Crystal – Medusa’s younger sister, Crystal has the ability to manipulate the four elemental groups: Earth, Air, Fire and Water. Wanting to explore the world outside of Attilan, she joined both the Fantastic Four and the Avengers at different times and dated Johnny Storm (the Human Torch) for a while. They are accompanied by Lockjaw, Crystal’s enormous bulldog, who has jaws of steel and can teleport himself and anyone around him to any location, even from the Moon to Earth; and Maximus, Black Bolt’s insane brother, who has the power to exert mental control over others and even exchange his consciousness with others’, and is continuously trying to stage a coup to take Attilan away from Black Bolt and his cousins. In the ABC series, we learn that there is dissension in Attilan, with the lower class on the verge of rebelling against the Royal Family, and Maximus rousing the rabble and ousting the Royal Family from Attilan, claiming the throne for himself. The Royals are exiled to Earth, being deposited all around Hawaii, and they have to find each other and reclaim their home. Adapting the Inhumans to television presents numerous problems, mostly to do with budget. Inhumans are bizarre; it’s an entire society made up almost completely of genetically altered beings, many with great powers, some not even human in appearance (like Triton). On television, Attilan is depicted as a large, grey concrete bunker, and its people are just . . . people. Okay, in the first two episodes we see a girl emerge from the Terrigen Mists with butterfly wings, and a guy with weird projector-eyes, but other than the Royal Family, that’s about it. All other characters, foreground and background, were human in appearance. Even the much-vaunted Genetic Council were just regular-looking people. If nothing else, they could have at least painted people different colors, a trick that was used in Star Trek Beyond. Plus, they all wore black and grey clothes and cloaks. The whole thing was colorless to the point of being depressing. And Attilan is situated on the Moon, itself a grey, colorless place. Who would want to live there? The Royal Family should have been glad to leave. The first major problem that we encounter in the series is the way the Royal Family is depicted on screen. Look, I get it, superpowers are expensive to realize on a television budget. The answer to that problem for this production team was to depower nearly every character, either in their concept or in the storyline. For instance, the only power that Black Bolt is given on screen is his destructive voice. So many of the problems that arose during the course of the eight episodes could have been solved by him flying or blasting people. While on Earth, Karnak gets a conk on the noggin and loses his super-analytical powers. Gorgon’s hooves are hidden inside very normal-looking boots. Triton, the weirdest looking one of them all, is killed almost immediately. Maximus is depicted as having no powers at all, Terrigenesis failing to awaken any abilities within him at all. The biggest offender, of course, is Medusa; her flailing, undulating locks are incredibly iconic and one of the most symbolic images of the Inhumans. 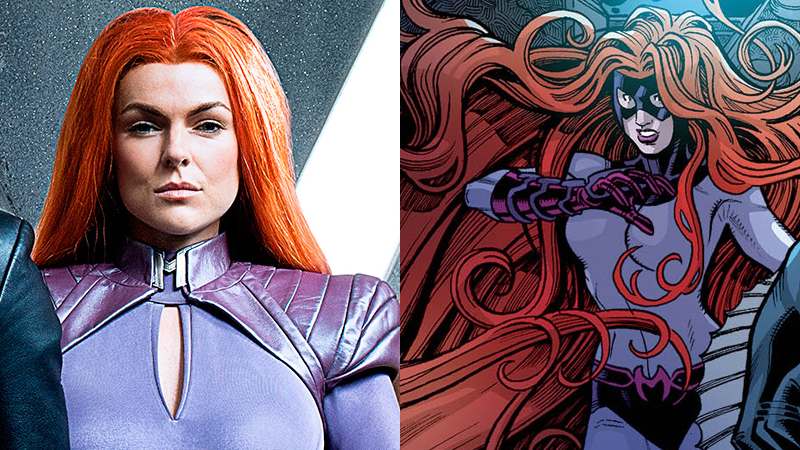 First, actress Serinda Swan is fitted with the flattest, most atrocious red wig possible. Then, when her hair is animated, it’s done so incredibly poorly. Once Maximus’ coup is complete and Medusa is kidnapped (in episode two), her hair is shorn to de-weaponize her. Now, granted, that’s exactly what would happen in a coup situation. But to completely remove the most iconic visual element of the characters in question is to admit, “hey, this is an effect we’re not going to be able to pull off convincingly, so let’s just get rid of it.” The one really successful digital element was Lockjaw. He was brought to life pretty well and was a joy to watch, and with him being the Family’s main mode of transportation (as well as the production’s best potential for merchandising), they really couldn’t get rid of him in favor of doing Medusa’s hair justice. The second main problem with the series was that it began with a coup, with a city rebelling against their rulers. But no time at all was spent letting the audience get to know these characters first. What is life in Attilan like? What is the daily routine for the Royal Family? What is their relationship to each other as well as to the populace? And most importantly, why should the viewer care that these people are being booted from their kingdom? Once they get to Earth, scattered to various places, most of them aren’t interesting enough to carry their own storylines. The exception is Medusa, but mainly because she finds herself in the company of Louise, a scientist at the Callisto Aerospace Control Center who studies the Moon. Louise is quirky, bright, a bit socially awkward, and by far the most likable character in the entire production. The concept has a great deal of potential; the comic characters would not still be around since the 60s if that weren’t the case. In the television series, the final two episodes, where the Royal Family reunites and works together to reclaim their home, are the two strongest ones, with many of the story elements coming together in a fairly effective way, as the Royal Family confronts Maximus leading to a final showdown between him and Black Bolt. The story and the acting have taken a great deal of criticism, but I think there were some successes among the missteps. 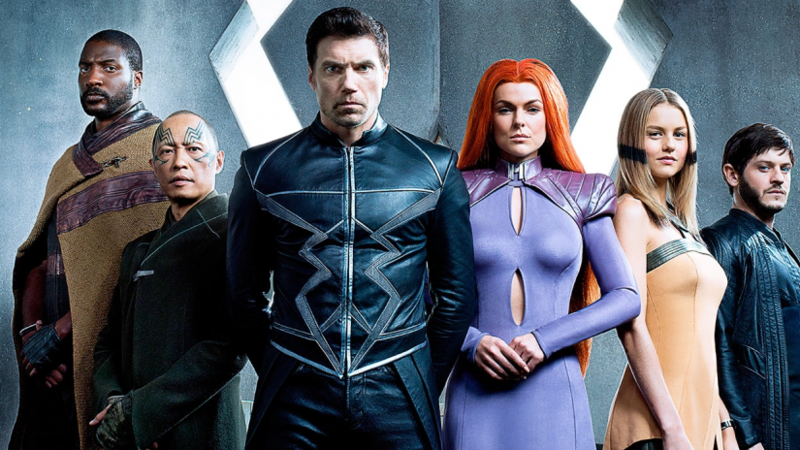 I genuinely enjoyed Anson Mount (Black Bolt), Iwan Rheon (Maximus), Ellen Woglom (Louise), and in the final two episodes particularly, Serinda Swan as Medusa. The story itself spent far too much time with the characters all in disparate situations and with not enough done to establish them at the beginning. And the limited budget made the whole thing very difficult to bring to life. Had this been done as a Marvel Cinematic film, as originally planned, with the type of budget that Guardians of the Galaxy and Dr. Strange were given, and with more of the story taking place in their city on the Moon rather than in Hawaii, this could have been exponentially more successful. As it is, it was a drastically watered-down version of what Inhumans can be. With the citizens and their ruling family having evacuated Attilan at the end of the series and relocated permanently to Earth, I feel fairly certain that they will eventually be woven into the storyline of the upcoming final Agents of SHIELD season, which will bring that show’s Inhuman thread to a conclusion. Honestly, I’m ready for that to happen. And maybe Medusa’s hair will have grown back out by that point. Maybe one day down the road the Inhumans will get the movie treatment that they deserve, or maybe at least they will make appearances in upcoming films, like Avengers: Infinity War. They deserve the change to be awesome.